Recovering from a sport injury can be a long road – Kintec can help. 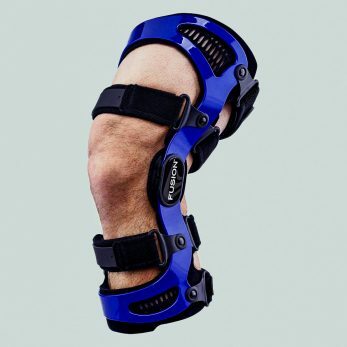 Get access to a variety of custom and off-the-shelf bracing solutions from trusted brands – everything from feet to shoulder injuries. Your knee is a complex joint with many components, making it vulnerable to injuries. Working with an experienced brace fitter is critical for effectively speeding up your recovery process. We have trained brace fitting specialists and offer a variety of custom and off-the-shelf bracing solutions. Plantar Fasciitis is the most common cause of pain on the bottom of the heel. At first, it may seem like a minor problem, but it can have cumulative effects on your quality of life and overall health over time. Each year we help thousands of people with this and other foot-related issues so they can live more active lives. It’s why we do what we do! Shoulder injuries are notorious for their slow recovery time. Our goal is to find you a product that will help speed up your recovery process while minimizing pain. We have many solutions that allow you to function comfortably day-to-day while recovering from surgery or rehabbing a shoulder injury. From wrist sprains and carpal tunnel to post-cast support, we’ve got you covered. A lightweight and effective solution is your best bet for a speedy and non-restrictive recovery.